In Classic Spy Tales and Epic Sea Adventures, Newfoundland‘s most beloved historian, Jack Fitzgerald, returns with another thrilling collection of Newfoundland Stories. 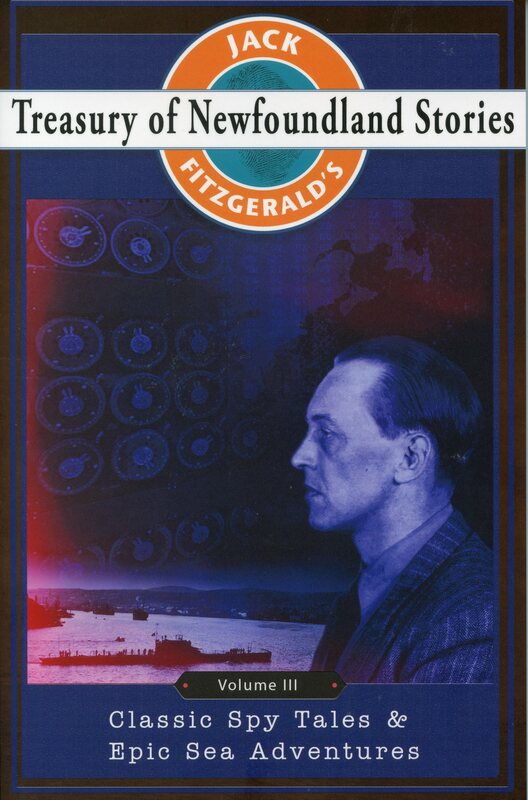 Scouring the historical records, Fitzgerald revels what transpired when the two most powerful leaders in the world met in Placentia Bay to alter the course of war, how a secret spy document changed Newfoundland wartime policy, and how a German U-boat managed to establish a Nazi weather station in Labrador. And supplementing stories of war and espionage, Fitzgerald also offers tales of giant squid, harrowing nautical disasters, and of the Newfoundland sea captain who inspired one of the most famous novels ever written. As the third volume in Jack Fitzgerald’s Treasury of Newfoundland Stories, Classic Spy Tales and Epic Sea Adventures is an indispensable edition for anyone interested in the history of Newfoundland.